"Sousa won Valencia indoors at the end of last season and has a 27-15 record in these conditions at tour level at the moment, which makes him a serious threat..."
It's back to the grind of the ATP World Tour this week after the fortnight in Melbourne and February offers plenty of chances for us to get back on track after a poor second week of the Australian Open. 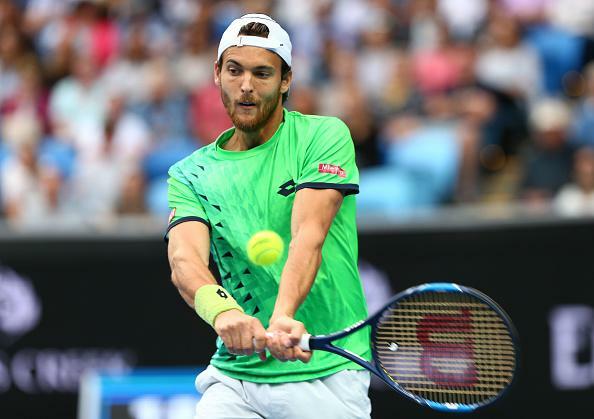 There are a dozen tournaments this month in which to find an outright winner or two and we start with three ATP 250s in Quito, Sofia and Montpellier. The Garanti Koza Sofia Open replaces Zagreb on the tour for 2016 and this new event is played indoors on a Proflex surface at the Arena Armeec, which is the all-purpose sports and entertainment centre in Sofia. The surface is the same one that they use these days in Rotterdam, so it should be quite slow if that is the case. It's a very different story in Quito, where the Ecuador Open on red clay is played at an altitude of 2,800m in the highest capital city in the world and this is one for the altitude lovers, with last year's champ Victor Estrella Burgos likely to be a decent pick again. The weather forecast looks pretty poor for Quito this week, so it could be a long old tournament in Ecuador this week, with match-bunching towards the end likely if the forecast is right. In Montpellier it's as you were at the Open Sud De France, which has been won in four of its five years of its existence by Frenchmen and last year's champ Richard Gasquet returns from injury here. Conditions at the Arena Montpellier are on the quicker side on a Greenset surface and they use Tecnifibre X-One balls here. Starting in Montpellier then we have to take on top seed Gasquet, whose condition was described thus by co-coach Seb Grosjean: "He has a hernia. This requires a permanent support for the back, even when resting." Doesn't sound great and in that top section I like the [19.0] about Joao Sousa, who revels in these indoor conditions and made the semi finals here a year ago, losing out to Jerzy Janowicz in a three setter. Sousa won Valencia indoors at the end of last season and has a 27-15 record in these conditions at tour level at the moment, which makes him a serious threat, as does his performance against Andy Murray in Melbourne. Gilles Simon is the obvious threat, but the Frenchman has a very average record here of 6-5 and has been beaten by Marc Gicquel, Benoit Paire and Janowicz in Montpellier of late. Marin Cilic seems the likely finalist in the bottom half of the draw, with a fine 60-18 record at ATP 250 and 500 level on indoor hard, and Gael Monfils appears to be the main opposition for the Croatian. The Quito draw is interesting, with Bernard Tomic the top seed, and the Aussie has won at altitude before, but on clay his efforts have been poor, with a 15-25 mark at main level. Bernie has lost six of his last seven on the red dirt and only once has he made a quarter final on clay, which was in Munich in 2012 when he lost in two sets to Feli Lopez. Talking of Lopez, he made the final here a year ago and will be a factor again in all probability, but he's so hard to win with, having landed only four titles in his 15 years on the ATP World Tour. None of those have been on clay and why not side with Estrella Burgos here again at [34.0]? The veteran Dominican delighted tennis watchers everywhere with his win in Quito a year ago, such was his joy at landing this title, and he's so effective in these conditions that he's hard to ignore. Estrella beat Gasquet on hard in Bogota two years ago and was very close to beating Tomic in the semis of that event, plus he's made numerous Challenger finals in this part of the world. We've already seen Viktor Troicki defend a title this season and having warmed up here last week in the Bucaramanga Challenger it would be no shock to see VEB go deep again, with the opposition looking weak in that half. There are qualifiers yet to be added though and Renzo Olivo could be interesting after a good showing at the Australian Open. In the top half of the Quito draw I'd side with Thomaz Bellucci, who has proven form at altitude, but Estrella beat both Bellucci and Lopez on his way to the title last year and yet his price is much bigger than the Brazilian who is [7.0] and the Spaniard, who is [8.0]. The Sofia draw looks really wide open, assuming that Roberto Bautista-Agut is a little jaded after a very busy year already, and my shortlist there would be a few in the bottom half. I don't fancy one player above the others here, but Martin Klizan could be big at [34.0] if he's back to form, while Andreas Seppi showed some good touch in Melbourne, as did Lukas Rosol, and any of those three could prove decent value, although Seppi doesn't win much and may be a tad short. But with conditions unknown I'll hold fire on that tournament until after the first matches are played and perhaps give it a miss.